Psalms 45:1 MY heart is inditing a good matter;I speak of the things which I have made touching the king:my tongue is the pen of a ready writer. DO YOU KNOW WHERE YOU WILL SPEND ETERNITY? The fact is you will die one day. At that moment, you will either spend eternity with the Lord or be cast into everlasting darkness forever separated from God your creator. To know for certain you will be forever with Jesus? "You must be born again" take time to pray. Ask God to forgive your sins. Let me know that you have accepted His only begotten Son, Jesus Christ as your Savior. Read the page I have posted here. "The Salvation Plan"
What Does Christmas Look Like Daddy? God Is Speaking;"Hearken Unto Me"
Women...and you don't vote... Why? News Flash! The Big Bang?? I think NOT! HELP>"IN THE NICK OF TIME"
God's Names-Do You Take It In Vain? Is It Worship Or Music(k)? Father God; Are you Crying? We Ask Why?? And So Did Jesus !!! Hello my friends. I had another sermon I was going to share this week but felt led to share this instead. It seems like there is so much suffering,disease and loss recently attacking so close to home and dear ones I chat with on line that perhaps if we are reminded that even Jesus asked why??? This share is from Jack Van Impe aka "The Walking Bible"
I watch him and his wife weekly and it seems they always have ready what my soul is needing fed or on the same page of burdening that we all are under. I pray this will comfort your heart and minister to you that God is still in control, trust in Him. "Why?" Just three letters and a question mark. But it's the age-old question that everyone asks at one time or another and some people ask quite often. We are baffled by life's seeming inequities and scream out our protest, or we quietly move our lips and ask, "Why?" Oh, how it hurts to see our loved ones leave this world. How it tears at our hearts to see them suffering. Even though we might pray for them to be released from pain, we are never quite prepared enough for that final parting. Death is so final. We ponder what appears to be senseless suffering - that emotional, psychological, physical, or spiritual affliction that comes in many forms. We wonder about death, especially the death of the very young. We feel they have not lived long enough. We speak of the "waste" of so much human potential. The "whys" escape from our lips - even from the lips of those who should have all the answers. We do not like to see suffering, much less encounter it ourselves. We shove thoughts of death from our thinking. When we do have to confront death, we find ourselves at a loss for words to express our deepest feelings. Confronting the Eternal Question: Why? Is there an answer to the eternal question, "Why?" Clergymen and men and women in ministries such as ours are often confronted with that question. Sometimes we have answers. More often we have no pat answers. And pat answers are usually what the one asking the question wants. The longer I live, the more I observe the human scene, and the more I study the Word of God, the more I am convinced that these difficult experiences we all encounter in some form or another are unique opportunities God has given us to help us grow in faith. There are no pat answers. That may seem too simplistic for some, but it's true. Because of your own experiences with pain, are you not much more sensitive to the pain of others? Because of your own encounter with tragedy, are you not much more understanding of the trauma others are enduring? Because of your walk through the valley of the shadow of death, can you not enter into the grief of others with more compassion (see 2 Corinthians 1:4)? Whatever your personal experience with human suffering has been, have you not found it to be a faith-stretching exercise? You had to use your faith because there was nothing else you could do. There was no one who could fill the void left by the death of a loved one. There were no medical procedures that could alter the situation for that one (or yourself) who heard the dread word "cancer" or some other irreversible condition. At those times you found yourself reaching out and crying, "Oh, God, I need Your help!" And can you honestly say it did not come? The eternal God is thy refuge, and underneath are the everlasting arms (Deuteronomy 33:27). When thou passest through the waters, I will be with thee, and through the rivers, they shall not overflow thee: when thou walkest through the fire, thou shalt not be burned; neither shall the flame kindle upon thee (Isaiah 43:2) .
. . . I will never leave thee, nor forsake thee (Hebrews 13:5). Pain, suffering, and death do not cancel out the truths of God's Word. Rabbi Harold S. Cushner caught the attention of the reading public with his book, When Bad Things Happen to Good People. When bad things happen to otherwise seemingly "good people," the first thought that comes to mind is, "If there is a God, then what kind of a God is He to allow this to happen? Isn't God big enough to do something about the 'bad things'?" My wife and I have known sorrow and weeping. We stood clinging to each other outside the door of the Intensive Care Ward as the time for her father's death drew near. We, too, are so very human, and we long to hold onto those who have meant so much to us. We've been through the same kinds of things you have. So what I am saying to you in these pages is not without personal feeling and experience. Yet, I know that God is a good God. Bad things do happen - not because He is an uncaring and an unfeeling "Vast Imbecility," as Thomas Hardy suggested in his pessimistic poem, "Nature's Questioning." We have found Him to be a compassionate Heavenly Father. He is a God who loves and cares and feels for us when we are hurting or sorrowing. Jesus himself uttered an anguished, "Why?" Both gospel writers Matthew and Mark record His question, My God, my God, why hast thou forsaken me? (see Matthew 27:46 and Mark 15:34). With these words He was expressing His loneliness. It was an emotion with which we can all identify. All of us, at some time and possibly at many times, feel lonely and wonder about the "why" of things. Jesus was hanging on a cross when He cried out His "Why?" Is there any death more cruel and violent than crucifixion? In one sense, I believe Jesus was expressing grief because He was so very human as the God-man. He was showing us that grief is a very natural reaction to death. Remember, Jesus also wept at Lazarus' grave (see John 11:35). This shows us that we need to express our feelings, ask our questions, and get our thoughts out into the open. Doing so is healthier than putting on a pious pretense and holding back one's tears and grief. Even while Jesus was experiencing grief through agony, however, He was showing His concern and love. It was directed toward His mother and her immediate needs. As He hung there dying, He asked John, one of His disciples, to care for her. In a much broader sense, Jesus' cry of "Why?" was one brief word in a statement that was overshadowed by His love for all mankind. I heard the story of an angry young man who cried out at a memorial service, "Where was God when this happened?" It seemed there had been a tragic mid-air plane collision and some of his friends had been killed. The minister in charge of that service repeated the young man's question and then answered it. "God was in the same place He was when cruel men took His only Son and crucified Him on a cross." For God so loved the world, that he gave his only begotten Son, that whosoever believeth in him should not perish, but have everlasting life (John 3:16). Wherefore, as by one man sin entered into the world, and death by sin; and so death passed upon all men, for that all have sinned: (For until the law sin was in the world: but sin is not imputed when there is no law. For as by one man's disobedience many were made sinners, so by the obedience of one shall many be made righteous . . . But where sin abounded, grace did much more abound: That as sin hath reigned unto death, even so might grace reign through righteousness unto eternal life by Jesus Christ our Lord (Romans 5:12-15,19,20,21). And they overcame him by the blood of the Lamb, and by the word of their testimony; and they loved not their lives unto the death (Revelation 12:11). We will never know the answers to all the whys that are asked and that have been asked through the ages. But one thing we do know - we, too, can overcome. We are reminded daily that we have not been promised immunity from suffering and death. However, God has promised that we can abound (exist, survive) and be overflowing with hope, joy, and peace. How? By faith believing and trusting that what God says in His Word is true. And he said unto me, My grace is sufficient for thee: for my strength is made perfect in weakness. Most gladly therefore will I rather glory in my infirmities, that the power of Christ may rest upon me. Therefore 1 take pleasure in infirmities, in reproaches, in necessities, in persecutions, in distresses for Christ's sake: for when I am weak, then am I strong (2 Corinthians 12:9,10). God has promised to provide strength for us in our times of weakness - His strength through the "blood of the Lamb." His Son. 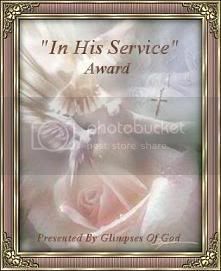 I also would like to say a prayer for all of those under trials,and tribulations and bad doctor reports,as I will put the name as blank for you to fill in a name of a loved one or for your own need to use this prayer that brings God back to remembrance of His words and promise. This book of the law shall not depart out of thy mouth; but thou shalt meditate therein day and night, that thou mayest observe to do according to all that is written therein: for then thou shalt make thy way prosperous, and then thou shalt have good success.In Heb.11 The book of faith you said to call things that are not as though they were,so we know this is for our healing ,peace,prosperity to claim standing on your word in faith and not by sight of what the doctors reports may be for in Isa.53:4 Surely he hath borne our griefs, and carried our sorrows: yet we did esteem him stricken, smitten of God, and afflicted. 5 But he was wounded for our transgressions, he was bruised for our iniquities: the chastisement of our peace was upon him; and with his stripes we are healed. 1.He that dwelleth in the secret place of the most High shall abide under the shadow of the Almighty. 2.I will say of the LORD, He is my refuge and my fortress: my God; in him will I trust. 3.Surely he shall deliver thee from the snare of the fowler, and from the noisome pestilence. 4.He shall cover thee with his feathers, and under his wings shalt thou trust: his truth shall be thy shield and buckler. 6.Nor for the pestilence that walketh in darkness; nor for the destruction that wasteth at noonday. Father God your word also says in Rom.8:28 And we know that all things work together for good to them that love God, to them who are the called according to his purpose. Let us speak YOUR WORDS out daily,they are seeds to reap a good harvest. You said in Mark 4:14 the sower sows the word. 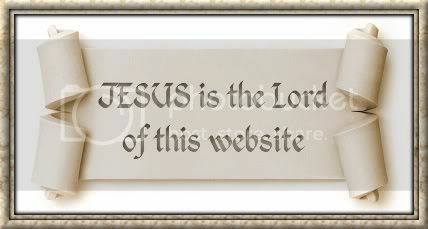 Copyright © 2007 Pastor Linda Begley.